Design Your Playspace with Play Illinois! 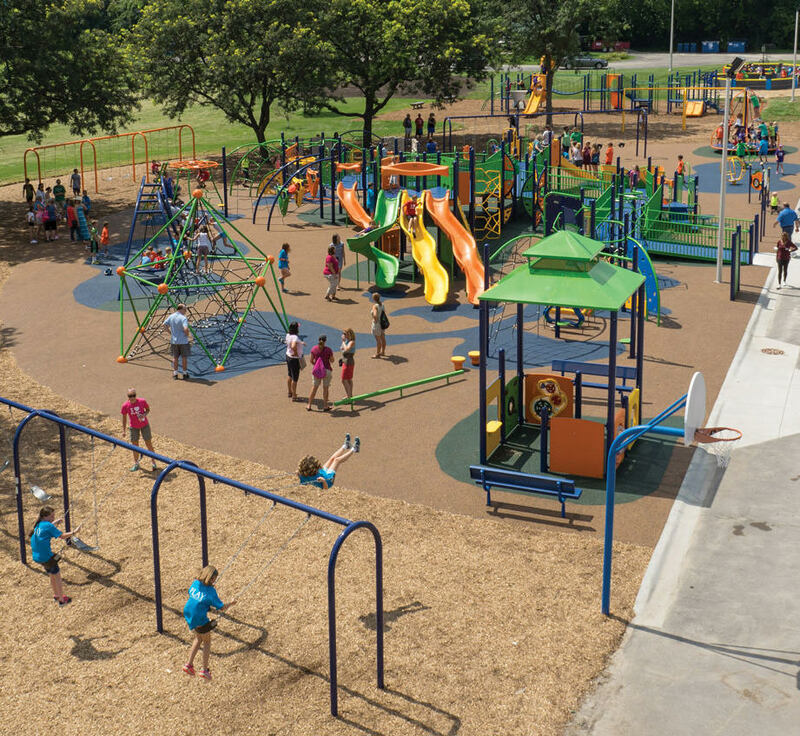 Ultimately, it is about the creation of an exciting recreational experience for the playground enthusiast of any age and ability. Our playground designs are imagination building and sensory rich environments for the young and the young at heart. We take into consideration the effect of each suggested piece of equipment on the tactile, visual, and auditory senses; the development of balance and control and knowledge of one’s own body in relation to movement and spatial orientation. We consider the development of both social interplay, imagination, and self-confidence. Our design components include site analysis, needs assessment and conformity to local and federal regulations. We will advise you as to the types of equipment that will create the desired atmosphere and motivate children to exercise their minds and bodies through the use of quality products allow for minimal maintenance and easy clean up. Budgets have a tremendous impact on the scope of a project. We will work to maximize your results, now and in the future. Both quality and craftsmanship effect the life cycle of a playground. Purchasing higher quality products and properly installing them can save you money in the long run. We use Life-Cycle Cost Analysis (LCCA) to determine the scope of the project and your most cost-effective options in purchasing, operating and maintaining the project on a net present value (NPV) basis that offer sustainable solutions. Large or small, PLAY Illinois designs offer a combination of experience and up-to-date technology. You will see your vision of the project through our beautiful 3-dimensional renderings. These designs can also be presented to project stakeholders, parents, community, and vendors and at fundraisers to assist you in communicating your vision and its potential to participants in the process.